The Panther is the ultimate medium tank of the Second world war. Despite being plagued by its own problems, it was a perfect blend of mobility, armor and firepower. Where other famous mediums lacked quality and made up for that by sheer numbers, the Panther was facing the opposite problems. There were simply too few. Despite the fact there were never enough Panthers around however, a number of interesting projects and upgrades were developed for the Panther chassis. Obviously, thanks to the game, everyone noticed the Schmalturm – the “narrow” turret for the Panther. This was of course a real project, but the 75mm L/100 is… well, semi-real. In early 1943 (January, in fact), Hitler demanded this gun to become the Panther armament. At that point, the gun was not even developed I believe (long barrels have problems of their own – most notably the vibrations, in fact reducing the gun accuracy, they are also very expensive and notoriously difficult to make) and nothing came of it. But, it was proposed. What WAS however developed, was the Panther with autoloader. Basically, Škoda Pilsen developed an autoloading mechanism for the Panther KwK 42/2 (to be ready in April 1945) – so yes, Panthers with autoloaders could roam the battlefields of WoT one day. This is sort of conencted with SerB’s remark that eventually the E-50 and E-50M might merge, with the “Turbopanther” jumping to tier 9. What’s a “Turbopanther”? 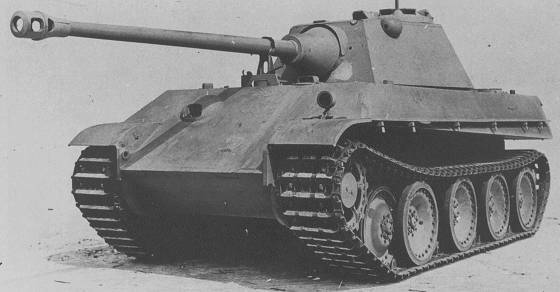 Well, what we can guess is: the ultimate Panther with various steering mechanism and drivetrain upgrades, sporting the heavies weaponry historically concieved for Panther (88mm L/71 in a Schmalturm), equipped with the GT-series gas turbine, giving it roughly 1200 horsepower to run around with. In real life, the turbine had a number of drawbacks and serious flaws, but in World of Tanks, it could work. Could work. Back to the Panther chassis, though. 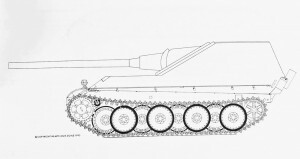 Four basic categories of vehicles were planned for the Panther chassis: scout tanks, anti-aircraft vehicles, self-propelled guns and tank destroyers. Now, however, we are getting to the interesting stuff: the self-propelled guns and tank destroyers. 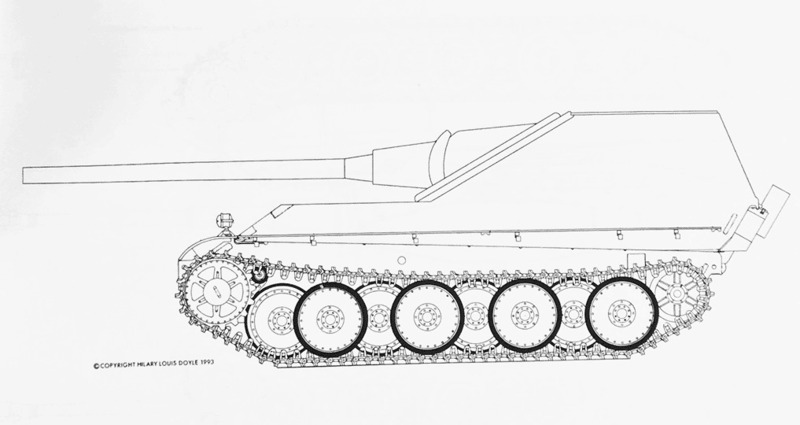 Note that this design has nothign to do with the Jagdpanther II, it only adopted the rear casemate solution. By the time this vehicle was introduced, both Panther II and Jagdpanther II projects were long dead. Part 2 will deal with the Waffenträgers, Panther artillery pieces and the 150mm Sturmmörser Panther assault mortar.